For several months now, I have been struggling to find enough content to make the fishing reports interesting. Today I don’t know where to start. It feels like the sea fishing season has finally started. 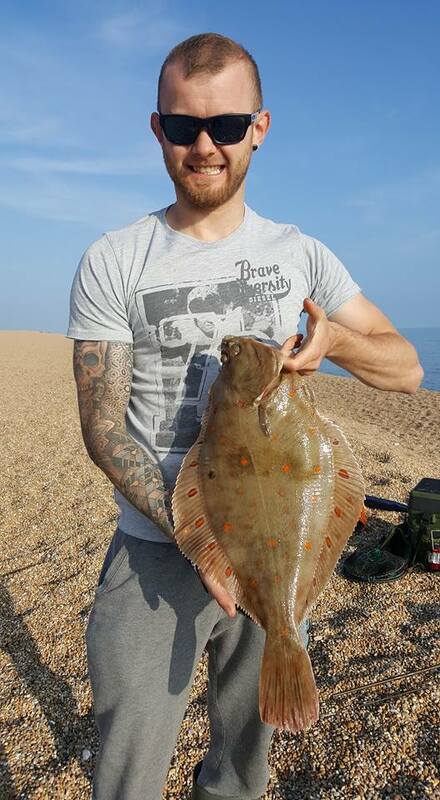 Well let’s start on the Chesil Beach and the first mention has to go to Max Bryden, who fished with his mate Rudie, at Abbotsbury. Rudie managed this nice Thornback. 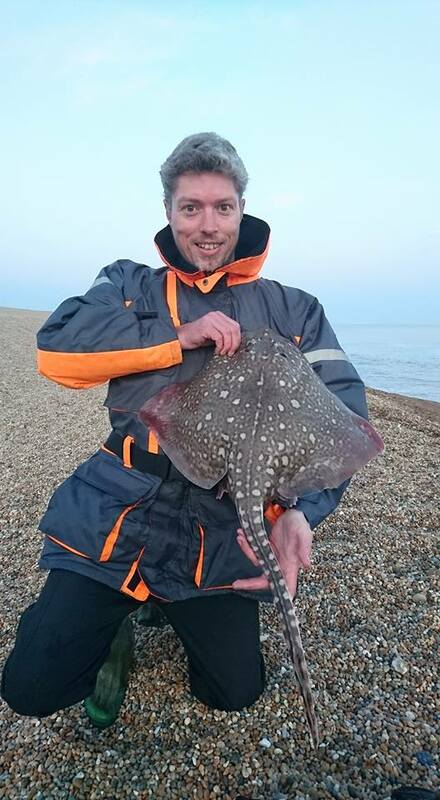 But top marks have to go to Max for this stunning 4.5lb Plaice, that fell to a classic ragworm bait tipped with squid. As I predicted on Friday, there was no shortage of Smoothounds. The one surprise was that a fair few of them were caught down at the Ferrybridge end. Jase Sheath landed this one on Ragworm mounted on a Pulley Pennel. Just goes to prove you don’t need live Peeler, to catch them. Those of you that know me, know the one fish that seems to elude me all the time is an Undulate Ray. 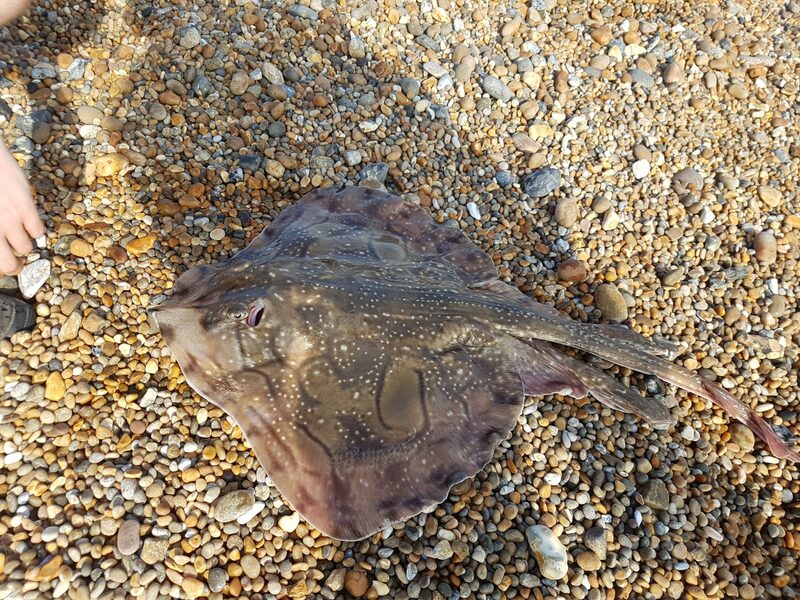 Imagine my despair, when I was sent this picture of a stunning Undulate Ray caught by Graham Cook, on a Mackerel fillet during the day, on Chesil. When will it be my turn? Switching to the boat, I had an email from Matt Gant, who had been fishing for Turbot on his own boat, on the Shambles. 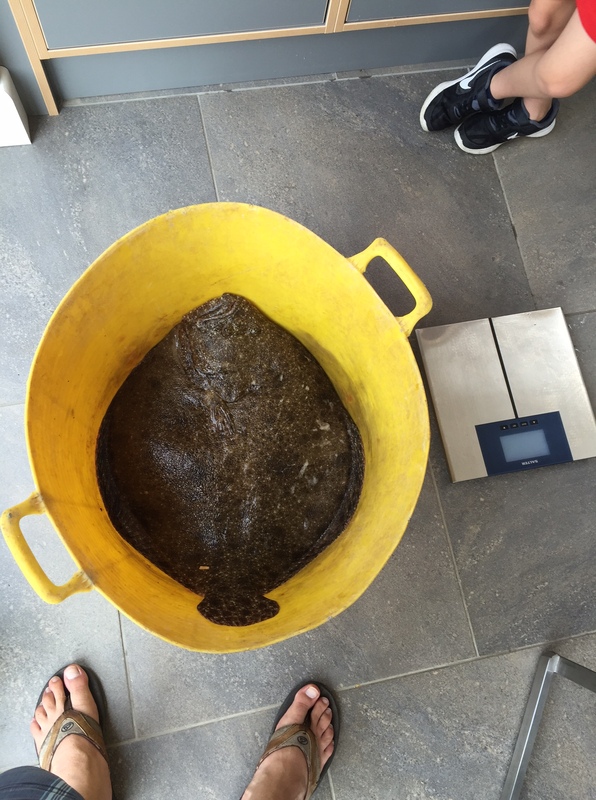 Matt had a great day with 8 Turbot, but the highlight was this fish of a lifetime 22lb Turbot. I had a major dilemma this weekend. With so much great fishing on offer and my wife wanting me to do at least a few of the hundred jobs I had promised to do over the past few months, I only had Sunday to play with. Was I to go and have another shot at the Bass, after last week’s great session, or should I go for my favourite summer species the Smoothound? I was torn, right up until I got a message from Luke Pettis saying he had a space on a wrecking trip on board Snapper. We had a pretty slow start, as the May water was affecting the inshore wrecks, even as far out as 12 miles, but once we crossed our national territorial border, the water turned a deep blue. 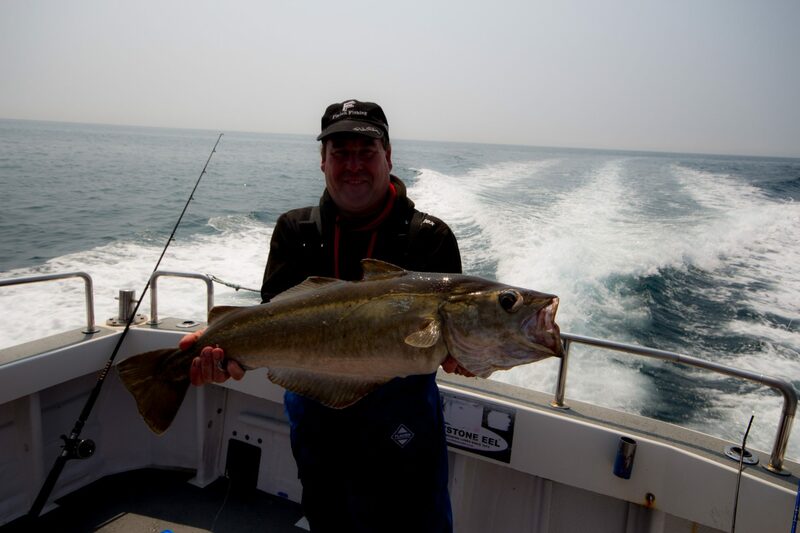 The fishing suddenly switched on and some better sized Pollock started to come aboard. We were not really expecting Pollock, as by this time of year, we would expect the Cod to have moved onto the wrecks. It didn’t take too long for them to start showing. I managed a nice low double, which put a big smile on my face. What made me smile even more, was a new personal Best Pollock for me on the next drift. Once again, it is a big thank you, to those that sent in reports and pictures of your fish. You are helping to continually improve the site. Talking of the site, we are really pleased to announce that after months of work, we have been accepted by Apple News as an official contributor to there news feed app. We join only a few other prestigious fishing websites in the world, that have been accepted by Apple. If you have an Apple device and the latest IOS you can simply type Fishing Tails in the news search bar and find us. Portland: calm with lightly coloured water. Chesil Beach forecast: It looks like another great week ahead on the beach. 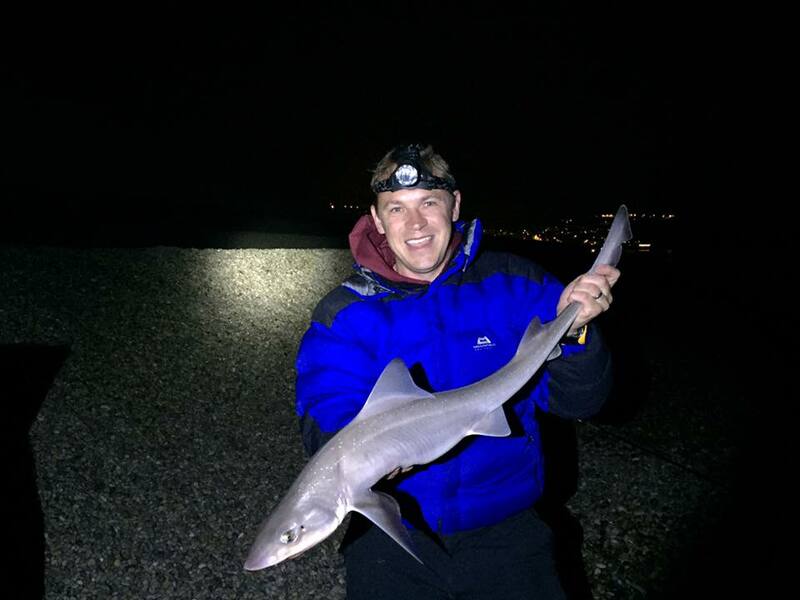 Once again, don’t expect Mackerel, but Rays, Smoothound and Plaice are all on the cards. Dogfish are around in large numbers, even during the day. The reduced visibility caused by the May water, means that they will feed confidently during the day. Try to avoid fish baits if they are on your mark, and make sure you have plenty of bait with you. Portland: This is one of the marks I will be guiding on today. Target fish will be Pollock and Wrasse on lures. 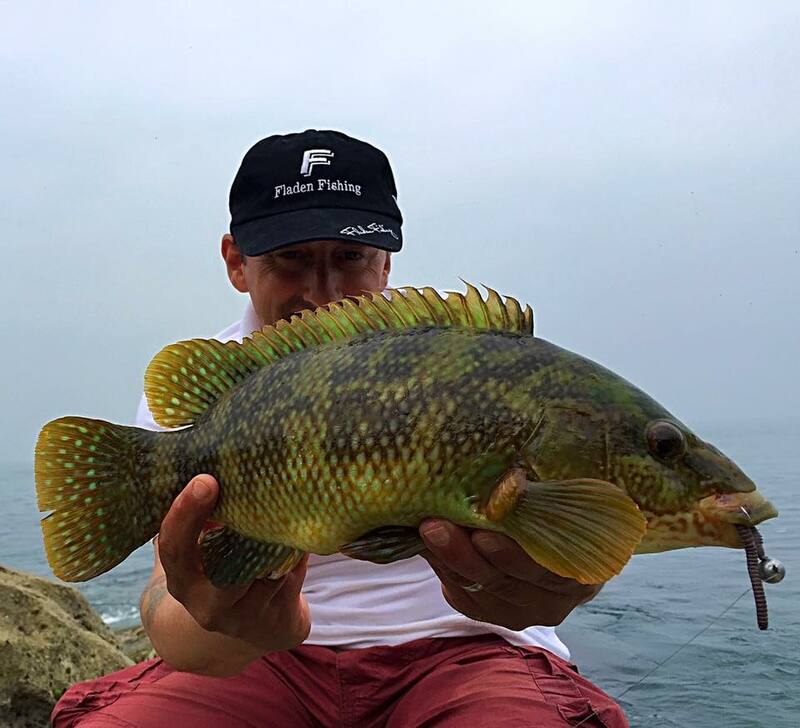 My friend and Pike enthusiast Nathan Edgell has been passing away the days until the opening day of the river fishing season, by targeting Wrasse on lures. He has been putting the new Fladen LRF tackle and their Verm worms through there paces. Portland Harbour: There was a lot of anglers fishing in the Harbour over the weekend. 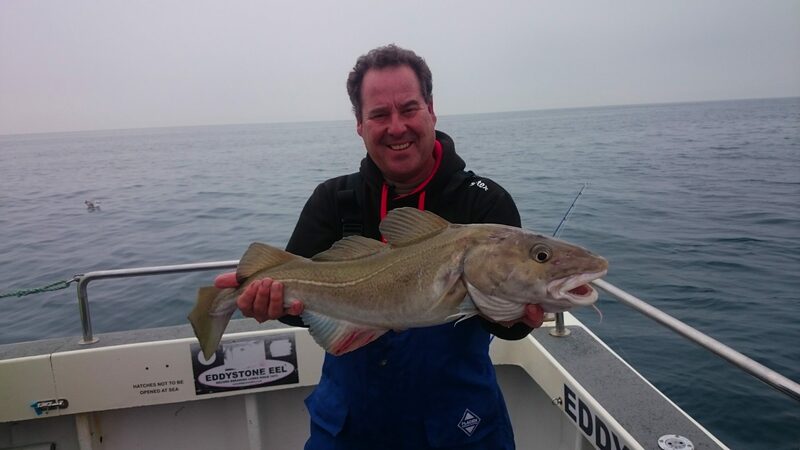 It proved to be a good mark, with lots of Garfish, Pollock, Wrasse and Bass landed. Weymouth Bay: Not so many Mullet visible in the harbour over the weekend, but I am sure that they are still in there. I know a lot of holiday makers took advantage of the great weather last week and spent many an hour on both the Stone Pier and Pleasure pier. They were not disappointed, as the piers fished well.Quite a few Garfish and Pollock were caught along with lots of Wrasse. I expect the same this week. One Response to "Incredible weekend of fishing"